Tracking metrics provides a significant advantage to athletes and coaches. 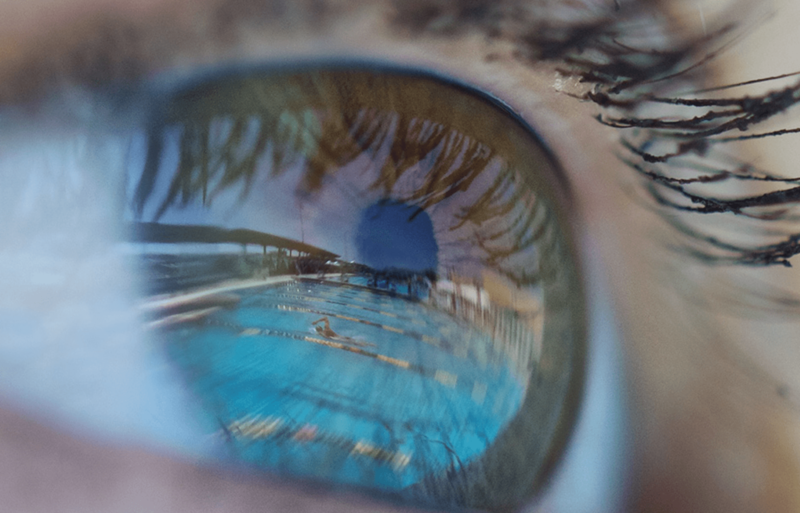 While each metric provides insightful data, choosing focal metrics is fundamental in tailoring technique and training to fit specific goals to each unique circumstance – whether they’re training for distance or sprint, for any given stroke. 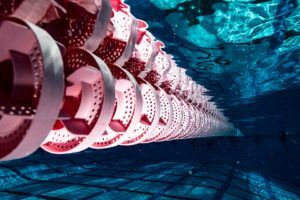 A large part of becoming a better swimmer is knowing how to execute a fast turn with proper technique. A good turn enables you to transition and move off the walls quickly, but it also contributes to better overall performance. 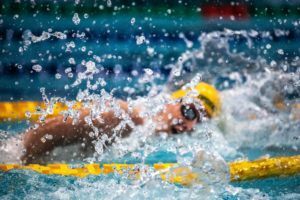 One of the greatest advantages of tracking metrics is it allows for easy identification of specific areas of improvement in individual swimmers. Athletes are conditioned to push their body past its limits, overcome the discomfort – often bordering on pain – and keep going. After all, the payoff is more than worth it. And once you’re in the zone, it’s easy to get caught up in the hustle, which is great – until you overdo it. Overtraining happens when the body undergoes stress at a faster rate than it can recover. Studies have shown overtraining to increase risks of injury, where most athletes are already training with between a 20-30% risk. Intensive training loads exacerbate the problem, increasing the likelihood of illness by 50% – 70% as well. So, not only does overtraining negatively impact athlete performance, it also comes with consequences on overall health. It’s not uncommon to feel sore after practice. In fact, if you’re not at least a little tired, you probably didn’t train hard enough (unless it’s an easy recovery day). 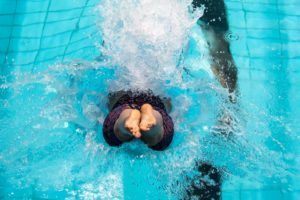 However, if you’re exhausted and sore for extended periods of time, or your arms or legs won’t stop feeling like dead weight in the water, that’s your body telling you it hasn’t had the chance to recover fully from previous workouts. Tired but can’t sleep? Overtraining can lead to an overproduction of stress hormones, causing restlessness. This then makes it harder to recover, increasing vulnerability to overtraining – and then you’re stuck in a vicious cycle. Studies have shown that exercise boosts mood and productivity. Excessive exercise has the opposite effect. 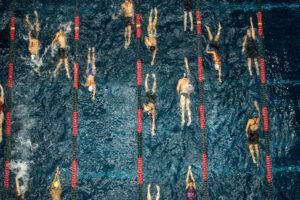 If you’re having a hard time focusing, or you’re feeling more irritable, anxious, or depressed; or maybe there’s a sudden disinterest, not only in your swimming performance, but just a general lack of motivation to participate in life, these are signs of overexertion. Training should lead to performance gains; seeing improved outcomes is the whole point of coming to practice. But, harder isn’t always better. 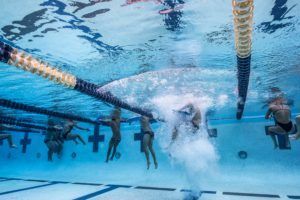 If you’re not seeing improvements, or worse, you’re starting to swim with improper form, metrics are declining, or times are getting slower, that’s a big indicator that you’re over-trained. On the other hand, it could also be a sign of under training. Reaching peak performance is nearly impossible without pushing your boundaries. But again, it’s critical to find that sweet spot before reaching the point of overtraining. Neck and back pain. Swimmer’s shoulder. 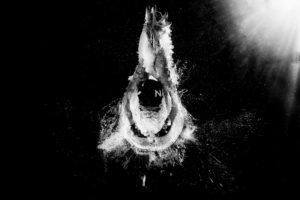 Breaststroker’s knee. 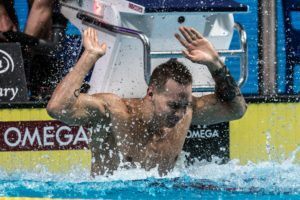 Swimmers are all too familiar with these injuries, the repetitive motions of the sport leading to muscle and joint overuse. The risk of incurring new injuries or aggravating old ones increases even further when overtraining. The good news is these are all avoidable with a few precautionary steps. Listen to your body and get ahead of the problem. Get sufficient amounts of sleep, take rest days (especially if you’re weight training), eat properly, and hydrate, to give your body a chance to reset, repair, and refuel. Recovery is a critical part of the process. Don’t take it lightly! Track all workout details (sets, times, intensity, etc. ), and rate your effort levels, as well as recording sleep, caloric intake, and other internal factors that may impact your training. One of the most important ways to prevent overtraining is by making sure the progression of workout volume and intensity happens gradually. The recommended change in training load to keep risks of injury low is 10%. However, most training plans see a 15-30% change week to week. Load monitoring helps reduce injury risk to as low as 5%. It tracks if each athlete is getting the right amount of training to not only minimize injury risk, but also maximize training outputs. To learn more about how load can impact your training, as well as how to accurately and effectively monitor athlete load to reduce injury risk, check out TritonWear’s eBook on the subject. Optimizing performance isn’t always about training harder, but training smarter. Tracking is essential to finding the balance between training and recovery, as training too hard, too fast, can have harmful consequences. On the other hand, under training both hinders progress and puts athletes at risk of injury and illness because of the protective effects from training. Training boosts your immune system and actually reduces your likelihood of injury compared to not training, or minimally training. TritonWear makes tracking simple, while providing you with the most accurate data for targeted improvements – the device automatically builds workouts and records metrics, so you can focus on training. To learn more about the research behind this concept, how to implement it with your team or even just how you can personalize your training strategy and achieve peak performance, contact TritonWear to start a conversation today. The most accurate swimming wearable technology on the market, delivering performance improvements through data analytics. TritonWear works with clubs, schools and federations around the world, helping athletes achieve new heights. TritonWear captures and transmits data in real-time to screens on deck, and tracks trends over time for every outfitted athlete. The combination of personalized feedback and increased accountability for each athlete naturally increases engagement and overall success. 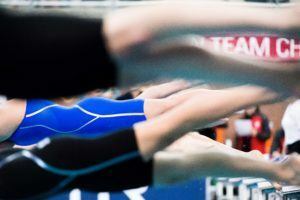 Swimming wearable news courtesy of Tritonwear, a SwimSwam partner.